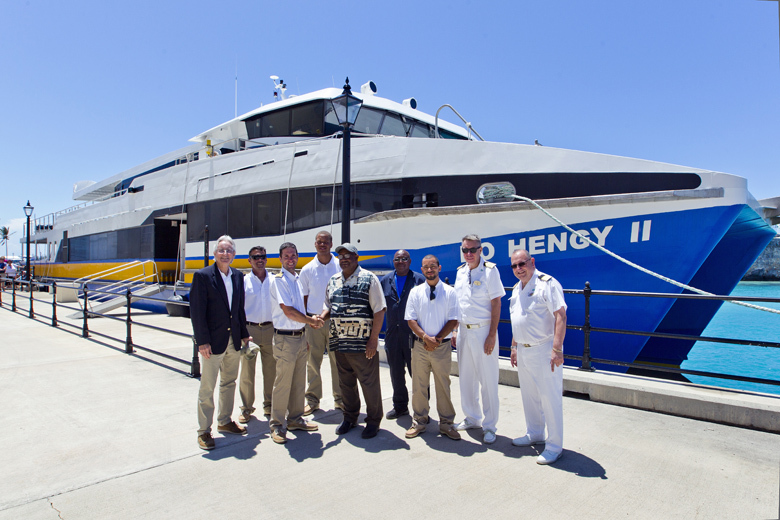 On Monday [May 15] the Bo Hengy II began providing tender service for NCL cruise ship visitors between Dockyard and St. George’s, under the guidance of a Bermudian crew of five, led by Cruiseport Ferry Management Ltd. CEO and reserve captain Beau Evans. 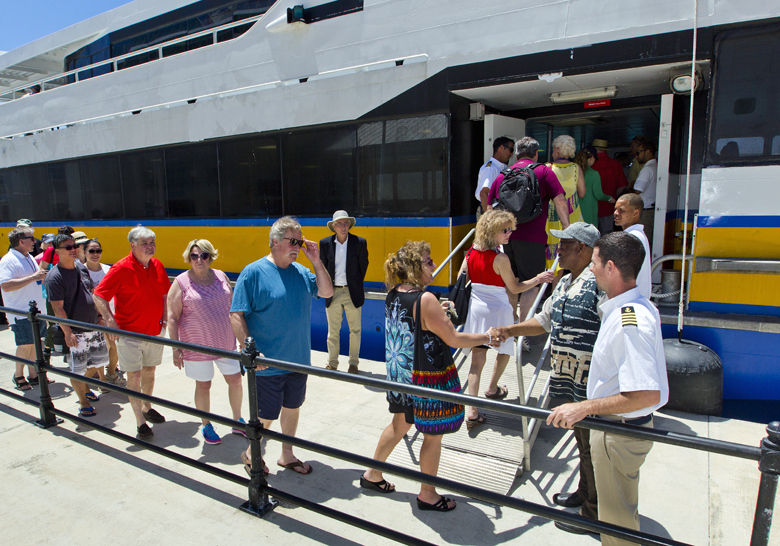 The 400-seat charter vessel arrived in Bermuda on May 8th to begin to fulfil the commitments of the Norwegian Cruise Line [NCL] to provide a ship’s tender service for the next five years between Dockyard and St. George’s. 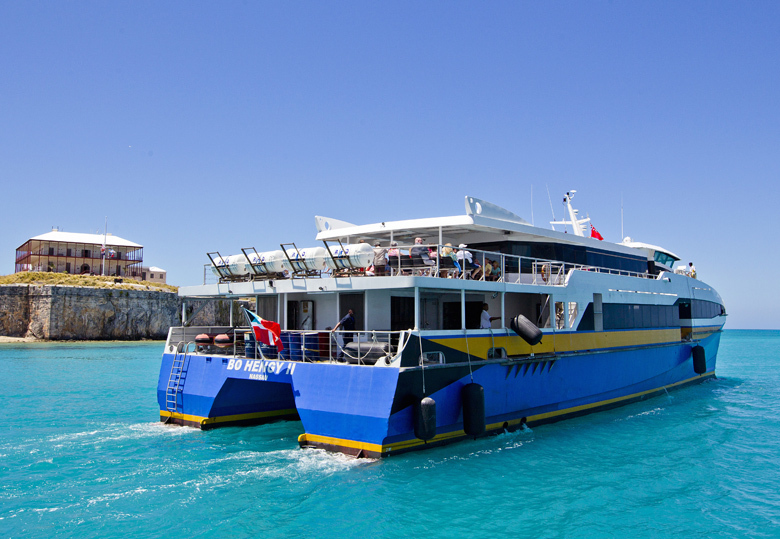 Earlier this year, the Government confirmed that NCL would charter a vessel from May through October 2017, while they continue to build two smaller purpose built tenders to service Bermuda between 2018 and 2022. And if it is, then so be it. What do you expect to happen when every time someone drops their ice cream a pathetic march is organized, and suffocates the transportation system affecting EVERYONE! 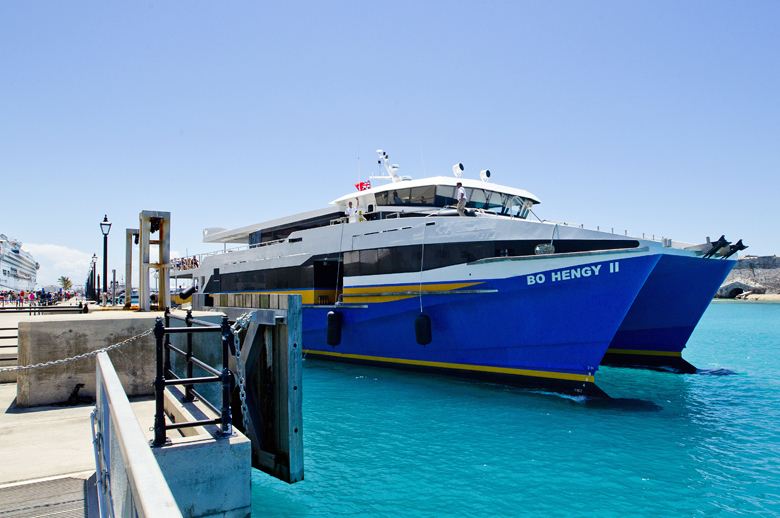 Whats the cost for this ferry? 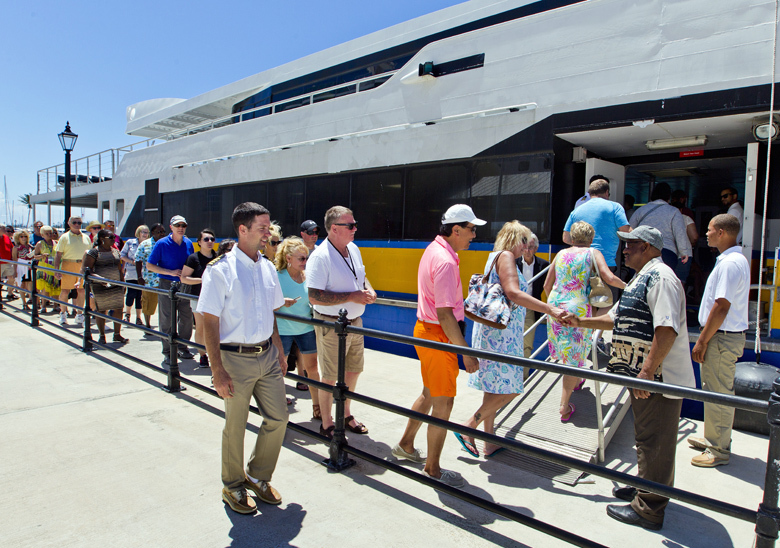 The cost of the ferry is nobody’s business but NCL & the operator. It is not here to carry the public. 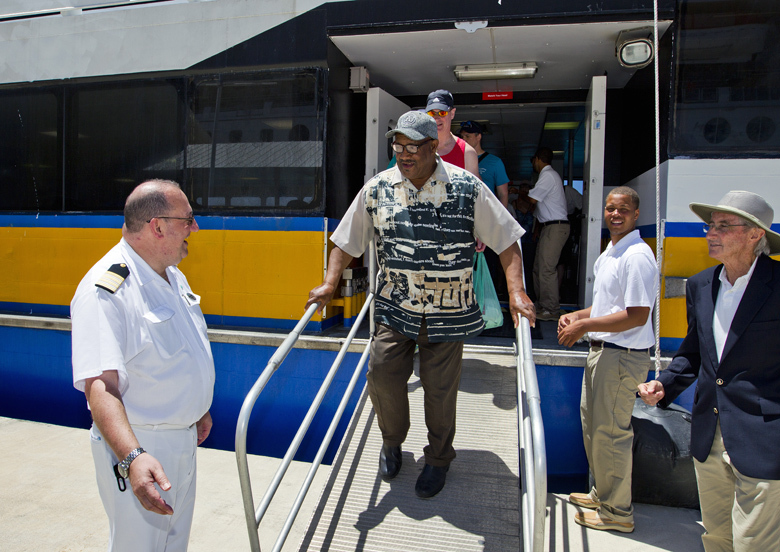 NCL is taking care of its own passengers however there is a cost in lost revenue to the Government ferry. 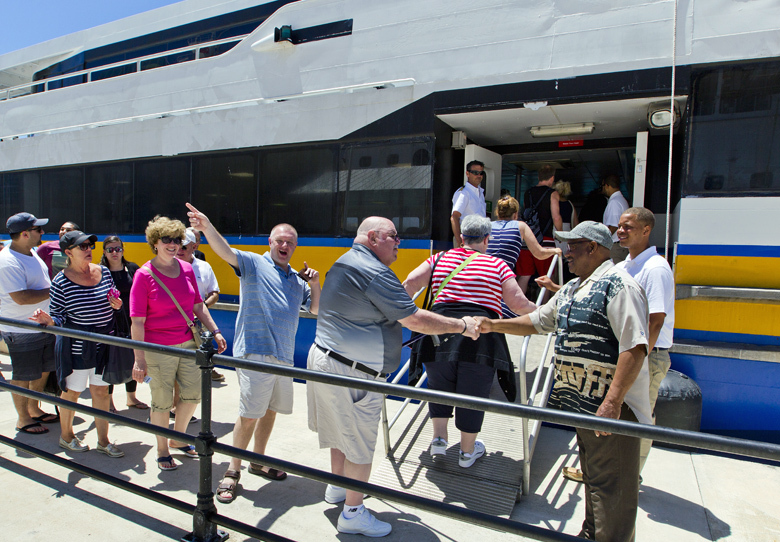 Won’t be long before Government drops the route for lack of support & the NCL boat picks up the slack. Well, what do you know!!! Privatisation, & the sky won’t fall. Election time. Kenny Bascome all he’s good for is smiling. He’s a reliable OBA vote and that means he needs to go. Beg to differ but you clearly do not know Mr. Bascome. Nobody works harder for St. George’s than Kenny Bascome. 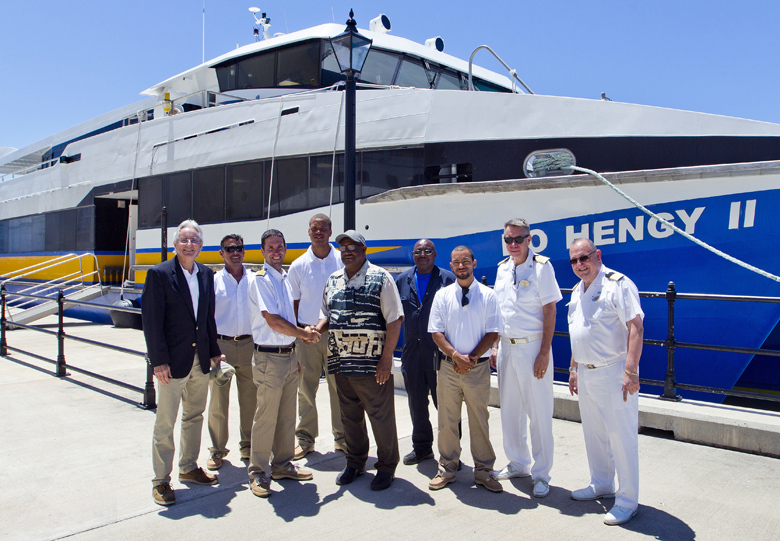 The Bahamas will Miss Bohengy II, she served us well. Hello Bermuda!